Our range of products include metal face plate, vga cables, hdmi face plate, s video splitter and rs 232 surge suppressor. With our strict quality management system and enormous knowledge of this work area, we are engaged in presenting an extensive plethora of Metal Face Plate to our patrons. Highly acknowledged amongst our customers for their longer service life, exceptional finish and high performance, these provided plates are highly recommended. Also, we deliver them to our customers on time. It is a Metal Black Powder Coated Face Plate having 15 Pin one VGA & One Stereo which provides the professional way to terminate a VGA/Stereo Audio for Connectivity to VGA/Stereo Audio transmitter. The metal plate provides 15 pin VGA & EP Connector (optional) for the line level sub. The metal plate has screw fixing terminals at the corners for easy mountability on the field. With the assistance of our highly advanced technology and ultra modern infrastructural set-up, we are engrossed in presenting a quality rich collection of VGA Cables. In adherence with the standards laid down by the global market, these provided products are highly acknowledged amongst our customers. Additionally, we check these on different grounds before final shipment of the order. Ordinary Coax VGA Cables are made with three RG11 Coax and 4 RG59 Coax, custom made with ends that plug into the large Coaxes and convert discreet coax cables to standard VGA Connectors supports standard VGA to 150 feet & 1900X1200 VGA to 100 feet. Available in molded form of 2M, 3M, 5M, 10M, 15M, 20M, 25M and 30M. Discreet VGA Cables are made with three RG11 coax and 4 RG59 coax with better insulation. Custom made with ends that plug into the large coaxes and convert discreet coax cables to standard VGA connectors’ supports standard VGA to 300 feet and 1900X1200 VGA to 225 feet. 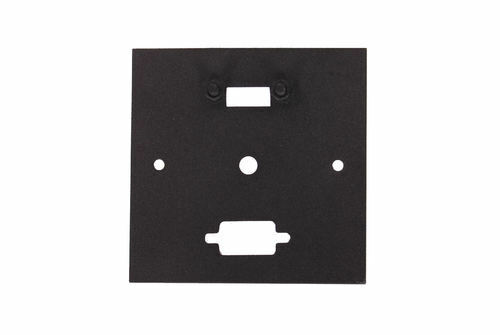 It is a Metal Black Powder Coated Face Plate having one HDMI Female connector. 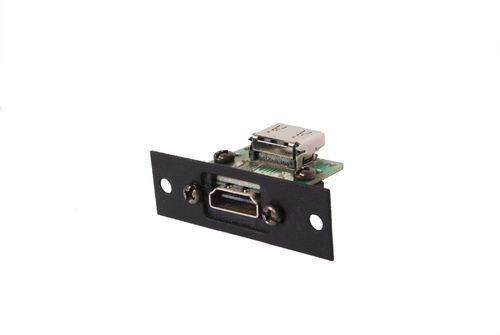 The backside of the plate has HDMI female connector which can be used for extending HDMI. The metal plate has screw fixing terminals at the corners for easy mountability on the field. 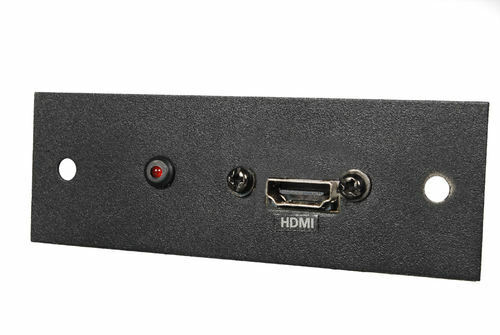 We feel proud to introduce ourselves as the leading manufacturer, importer, exporter and supplier of HDMI Face Plate. Offered face plate is manufactured using the best quality raw materials and innovative technology by our adroit professionals. The provided face plate has screw fixing terminals at the corners for easy mount ability on the field. To deliver defect free products to our customers, this face plate is tested on different quality measures. Owing of our extremely talented team of professionals, we are engaged in offering excellent quality S Video Splitter. Used in auditorium presentation and conference, this splitter machine is manufactured using the finest quality components and progressive technology. Our quality examiners test this splitter against varied parameters so as to maintain their quality. In addition to this, customers can avail this splitter machine from us in variegated sizes and designs. 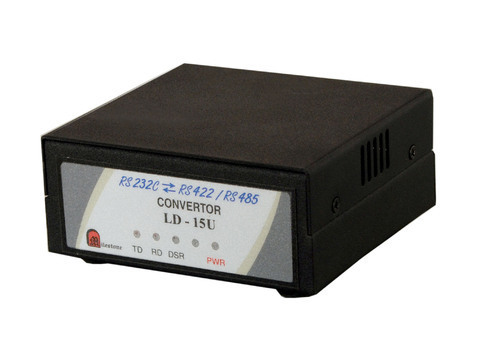 1 input of DVD/CD/VHS/Camera to 2/4/8/12 outputs. Transmissions distance 75 meters for individual outputs. Gain Controlled output for optimal viewing. Compact size for easy to carry. Public broadcasting and stock market information. Long range transmission for easy access to distant viewers. 1 S-VIDEO Input & 2 S-VIDEO Outputs. 1 S-VIDEO Input & 4 S-VIDEO Outputs. 1 S-VIDEO Input & 8 S-VIDEO Outputs. 1 S-VIDEO Input & 12 S-VIDEO Outputs. 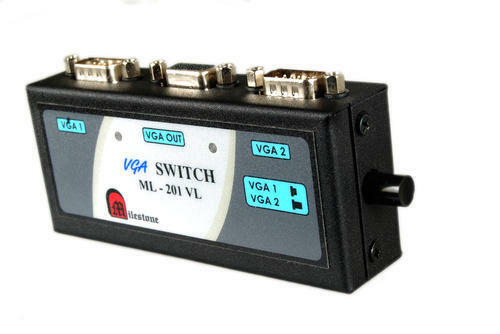 Milestone's RS232C Repeater/Isolator is a device which isolates the input and output connection of RS232C interface with no ground in common. Supports Tx, Rx DTR, DSR with LED indication. All signals are isolated and surge protected. Transient protection is 2500 V peak. Maximum Distance 15 metres on both sides. Looking for “Audio and Video Accessories”?